The Red Cross said it has received information of cases of Croatian police violence against migrants, and it is calling on governments to "guarantee dignity and respect" to all people. 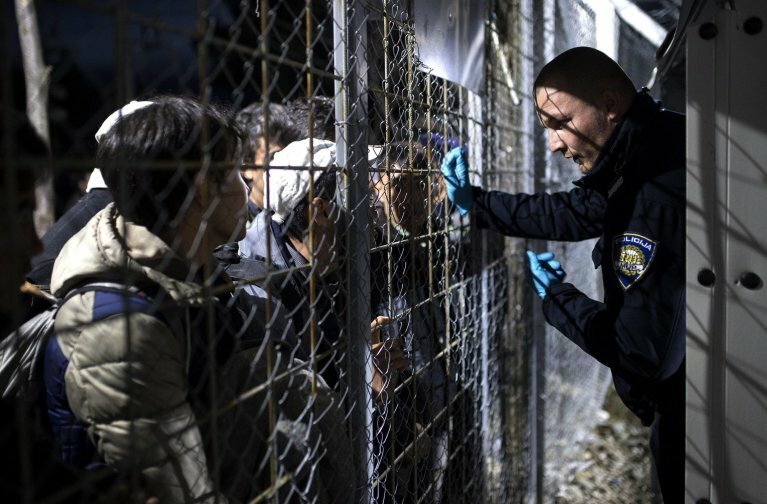 The International Federation of Red Cross and Red Crescent Societies (IFRC) has expressed concern over information according to which Croatian police have used physical violence against migrants, who in recent months have increasingly tried to enter the country from neighboring Bosnia. The organizations said dozens of people who attempt to cross the Croatia-Bosnia border daily receive medical treatment for various injuries. IFRC spokesperson in Bihac, Nicole Robicheau, said some people have told of "having been subjected to violence by Croatian border police", although it was not possible to independently verify these statements. Simon Missiri, IFRC Regional Director for Europe, based in Geneva, said the governments must "guarantee dignity and respect" to all people. "A desire to control one's border does not justify violence," Missiri said. The Red Cross report said this year 8,000 migrants have arrived in Bosnia, which is eight times more migrants than those registered last year. It said of these, about 3,000 have arrived in just the last four weeks, many from Afghanistan, Pakistan, Iran, or Syria. The Croatian police have been criticised in the past by national and international human rights organizations for violence against migrants. The Croatian Interior Ministry has consistently denied these accusations.